A new color for King Giant Chess. Blue lagoon color gives refreshment to your eyes. To be placed as decoration, this chess is recommended. Adopting the idea of futuristic color, we create the blue . In a distance, this blue color looks dominant, but when you give a closer look, the color shines. This blue chess is so stylish and pretty. It also shows of the minimalist concept for you decoration idea. It looks modern and elegance. As wooden chess manufacturer, we have many kind of chess colors, sizes and designs choice for our customer. 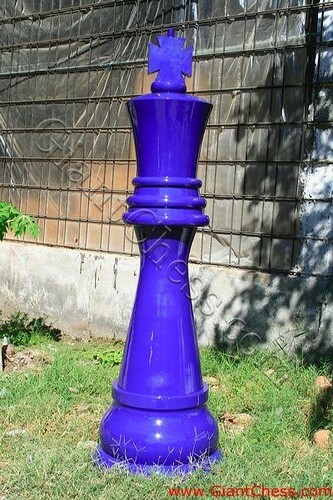 If you want to decorate your garden or for outdoor need, we suggest you to buy our giant chess with 72 inch tall King. You can put it at your garden for years without worried about its damage because our product are made of Teak wood that is very strongest wood in the world.